Hakone is full of attractions that are rich in nature. Wouldn’t you like to go to various places at affordable prices? Let us give you some information that can grant your wish! It’s a pass you can’t go without when touring Hakone. The “Hakone Freepass” has been around for more than 40 years and is known by many tourists who have visited Hakone before. It is a an economical and convenient two-way pass for the Odakyu Line (From the first station to Odawara) which you can use on 8 different types of means of transport. Furthermore, the Hakone Freepass entitles you to discounts and special treatment at more than 50 facilities in the Hakone area such as hot springs and tourist attractions, and is worth every cent. that you can use this economical “Hakone Freepass” at! One of the national parks. Located 1000m above sea level. You can see white plumes rising from the foot of Kanmuri-gatake located to the north of Mt. Kamiyama. It is the remains of the crater that formed nearly 3000 years ago during a volcanic eruption on Mt. Kamiyama. The volcanic area with sulphuric fumes is called a sulphuric field, the barren terrain once called “Daijigoku”, meaning “big hell” has spread, and the volcano remains active. Seeing the bubbling hot springs is another interesting attraction of Owakudani. The “Black eggs” boiled in the hot springs and blackened by sulphur are Owakudani’s specialities. You can also find many cute flowers like Shortias, Ericaceaes and Rhododendronss according to the season. Use the “Hakone Freepass” to get there! Take the Odakyu Line to Hakone-yumoto. Take the Hakone Tozan Train from Hakone-yumoto for around 40 minutes and get off at Gora. Switch to the Hakone Tozan Cable Car and get off at Sounzan after around 10 minutes. Switch to the Hakone Ropeway and get off at Owakudani after around 10 minutes. You have to transfer lines many times but it will be no problem with the “Hakone Freepass”. Lake Ashi (724m above sea level) is a lake that lies around the caldera of Mt. Hakone and has a perimeter of 19km and surface area of 6.9 square km. The lake never freezes as the temperature of the water is always above 4 degrees celsius even in winter, thus the freshwater lake invites winter birds to come flying. You can use the “Hakone Freepass” to board the Hakone Pirate Ship which will sail you across the lake. The majestic sight of Mt. Fuji across Lake Ashi that you can catch on board the ship is charming no matter which season it is when you visit. Take the Hakone Tozan Bus from the Odawara Station or the Hakone-yumoto station to arrive in around 55 minutes. Hakone shrine is a renowned shrine that is worshipped by many as the holy ground of a scared mountain from the ancient times. They pray to the Gods here for traffic safety, fulfilment of their wishes and the warding off of bad luck. The hall of the shrine was built in 757, during Tempyo-hoji of the Nara era. It was also protected by famous warlords such as Minamoto no Yoritomo. There are many precious treasures kept here, like the wooden statue of the founder of the Hakone Shrine (Cultural Property of Japan). The holy atmosphere of the path lined by 800 year old Cedar trees is very charming. Take the Hakone Tozan Bus to arrive in around 60 minutes. The Hakone Chokoku-no-mori Art Museum is a unique art museum where you can view the outer crater of Mt. Hakone and also enjoy the various statue exhibits outdoors along a gentle slope. The museum is a wide 56 thousand square meters and features works of masters from both Japan and other countries, such as Rodin and Michelangelo. Take the Hakone Tozan Train from Hakone-yumoto station on the Odakyu line to Chokoku-no-mori station. The museum is 2 minutes away. Take the Tourist Facilities Round Bus (Route S) from Gora station to the bus stop Chokoku-no-mori (3 minutes). The bus stops right in front of the museum. The hot spring “Yunessan” that you can make a day trip to is a popular hot spring resort boasting a rich variety of baths where you can get a taste of Hakone’s four seasons. Take the Hakone Tozan Bus (Route H) from Hakone-yumoto station on the Odakyu line for around 18 minutes and alight at the bus stop “Kowakien”. Yunessan is a minute walk away. Alternatively, you can take the Tourist Facility Round Bus (Route S) from Gora station for around 6 minutes and alight at the bus stop “Yunessan-mae”. The Sengokuhara area is home to some of Japan’s most famous art museums, such as “Hakone Glass Forest Art Museum” “The Little Prince Museum” “Lalique Museum” “Pola Museum” etc. You can visit at a discount if you show your “Hakone Freepass”. Take the Hakone Tozan Bus bound for Kojiri, Togendai from Hakone-yumoto station on the Hakone Tozan Railway for around 25 minutes. Alight at Hyoseki, Hakone Glass Forest-mae. The Sekisho is something the Tokugawa government built to protect Edo. Built in 1619, the Hakone Sekisho is one of the four famous Sekishos in Japan. It was restored in 2007 based on the report of its dismantling during the Bakumatsu era. There is information about features of Sekishos displayed here. Take the Hakone Tozan Bus (Route H) from Hakone-yumoto station for around 40 minutes. Alight at the bus stop “Sekisho-ato-iriguchi”. It is a 2 minute walk from there. that were recognized as natural monuments here as well. You can gaze out to the peak of the craters on Mt. Hakone (Hakone calderas), Mt. Ashigara, Mt. Marudake, Otometoge and other beautiful mountains, as well as soak in the splendid scenery of the harmonious marshlands from the grass plains here. It’s a lovely place all year round, but we especially recommend the view in autumn from late September to late October when the Miscanthus flowers paint the field in a lush gold. Alight at the stop Sengokuhara. The bus stop is right in front of the Sengokuhara Plateau. The Hakone Gora Park opened in 1914. You can enjoy the flowers that vary from season to season, take part in a tea ceremony, try pottery, glassblowing and many other activities. It’s a tourist attraction that you can spend your whole day at with numerous facilities, including a botanical garden. Being able to enjoy the flowers all year round is its most attractive feature. It is a 60 minute ride by train from the Odawara station. Alternatively, you can take the Hakone Tozan Cable Car till the stop “Kouen-shita”. The garden has an area of around 30 thousand hectares, and is home to more than 200 species of wetland plants and approximately 1700 species of plants that you can enjoy all year round, as well as grass plains and forests, alpine plants and rare mountain weeds from overseas. Take the Hakone Tozan Bus (Route T) from Hakone-yumoto station for around 25 minutes. Alight at the bus stop “In front of Sengoku Information Bureau”. The garden is located 8 minutes away. Alternatively, you can take the Tourist Facilities Round Bus (Route S or Route M) from Gora station for around 20 minutes. Alight at the bus stop “Shissei Flower Garden-mae” The bus stop is right in front of the garden. 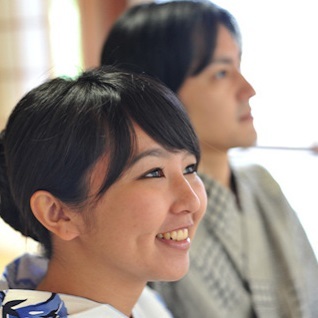 There are many other amazing places in Hakone we wholly recommend visiting. 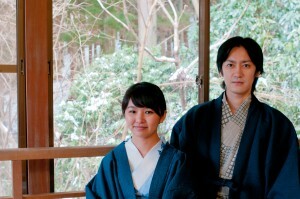 Do enjoy Hakone to the fullest while maximizing the use of your “Hakone Freepass”. The “Hakone Freepass” will help you make many memories with Hakone.